Over the past few years, I've become a big collector of the Disney Store/Parks exclusive Pixar plush toys. Ultimately it started with just picking up a few of the Pixar Studio Store exclusive Short films plush and then it kind of took off from there. 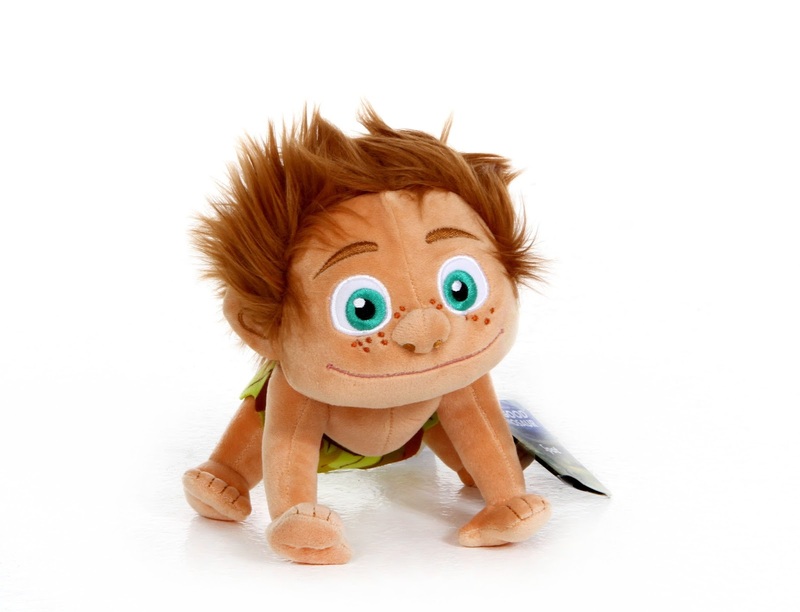 When two new Pixar films were set to arrive in 2015, I knew I had a lot of plush to look forward to! 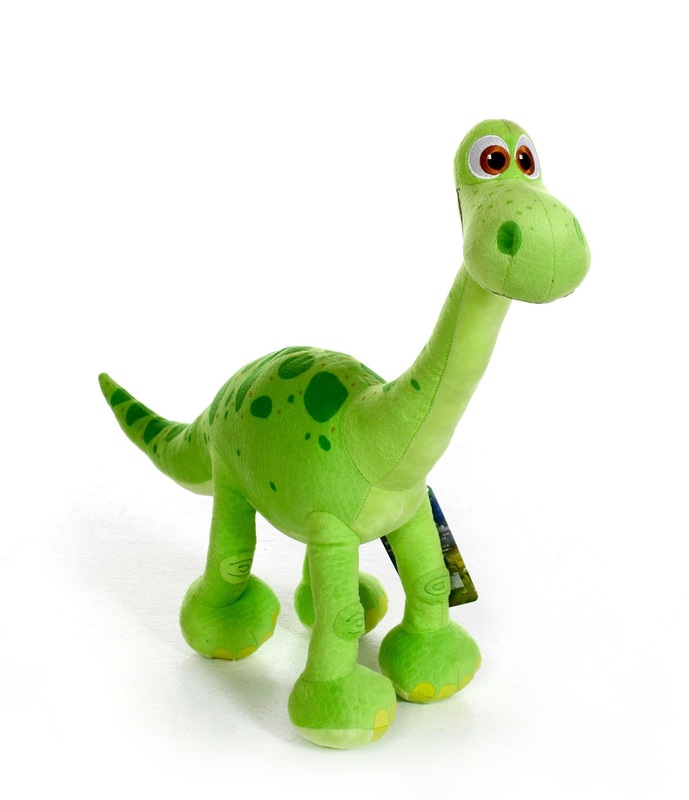 Even before the release of The Good Dinosaur merchandise this past fall, I knew the character designs would lend themselves perfectly to plush toys- so I looked forward to their inevitable release. On September 28th, I got what I hoped for when they hit shelves along with the rest of the Good Dino merch. 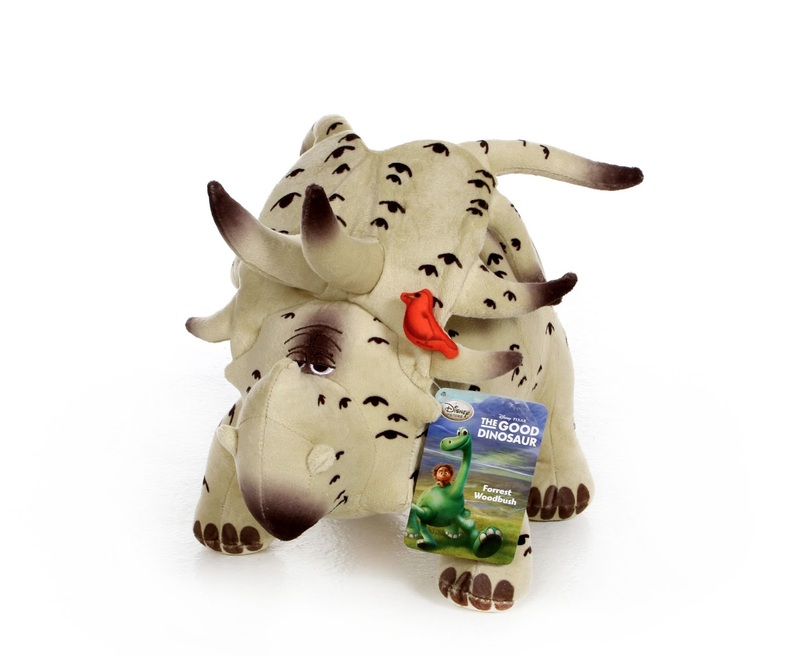 Plush toys can be hard to get right, as far as likeness is concerned, but the "Disney Authentic" ones usually do the characters justice. With that said, I was definitely not disappointed with this The Good Dinosaur assortment! Though Arlo is by far my favorite here, the whole collection looks really good. There are lots of nice details, such as Butch's scar/rotten tooth and Forrest's pet bird Debbie. Each character is a really decent size. They're all considered "medium" size plush, except for Spot who is classified as "small". 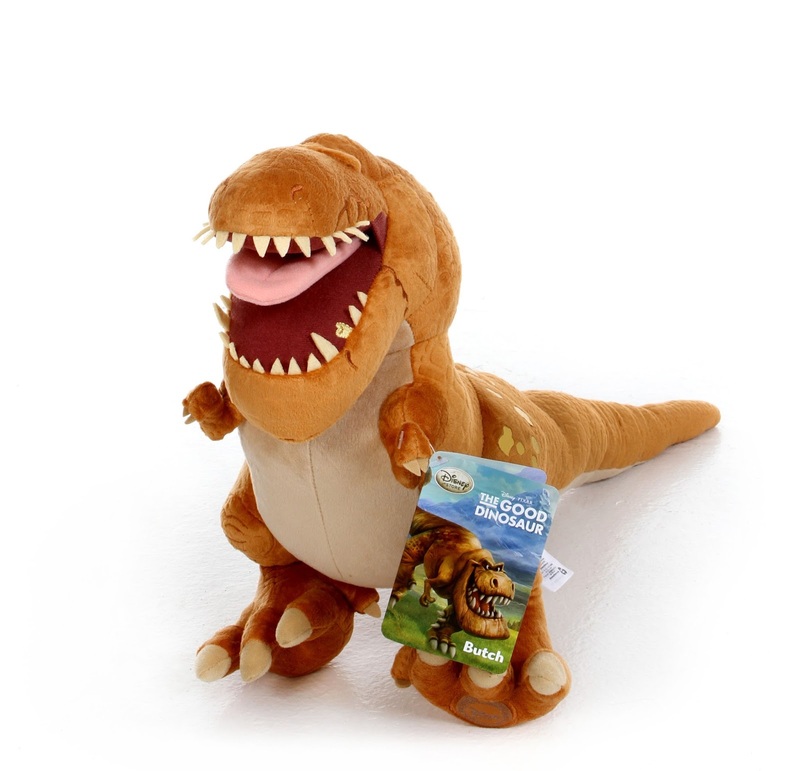 Every dino feels very durable and well made using a variety of soft, premium materials and fabrics with embroidered features. Check them out in more detail below with specific sizes, prices and links to buy! 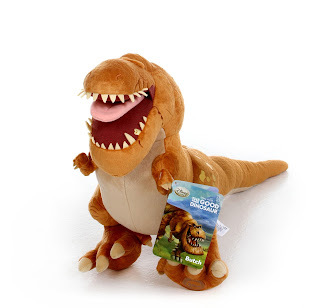 Additionally, I wanted to note that there is also a baby Arlo "Hatch and Reveal" plush (which will be reviewed here soon) and a large size Arlo (which measures 23" rather than 19 1/2", if you'd rather go the next size up). I highly recommend these to any fan of the film! Whether for a kid or for a collector, you really can't go wrong here. 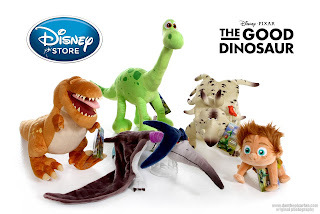 If you'd like to grab these dinos for your collection, be sure to head to your local Disney Store to check for availability. 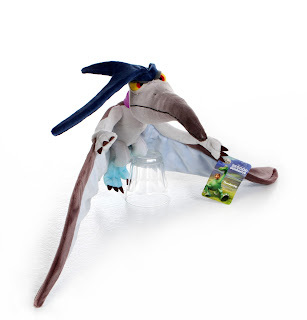 If you'd rather just pick them up online, you can use any of the direct links to the Disney Store's website above...hurry though! Since there's a pretty quick turnover rate there at the Disney Store, with so many new movies coming out constantly, these won't be available forever.